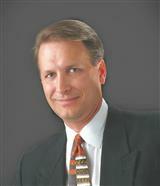 Bruce Nickell is a full service realtor with an undergraduate degree in Architecture, which uniquely equips him to be a strong advocate for any buyer or seller of real estate. With over 15 years of construction management experience ranging from residential to commercial. His education and experience is invaluable when negotiating for clients, allowing him to bring a professional perspective that most real estate agents simply do not have. My goal is to serve the client in such a way that they will return when future real estate needs arise. I also recognize the importance of a good name in the business community, as well as the value of good customer referrals. Our promise to our clients is to provide positive and professional experience. We will do so with honesty and integrity combined with “old-fashioned” work ethic. We will represent our client’s best interest from initial contract to closing. As is often said, real estate is about location, location, location. I have extensive knowledge of the Kingwood, TX area and can help you find the right home for your needs or the right buyer for your home. 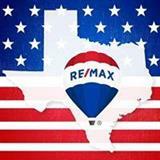 I've been servicing buyers and sellers in the Humble Atascocita area since 2004. Including the following subdivisions. Eagle Springs, Summerwood, Fall Creek, Lakeshore, Waters Edge, Kingsriver, Kingsriver Estates, Kingwood Green, Kingspoint, Riverchase, Mills Branch, Kingwood Lakes, Greentree, Elm Grove, Woodland Hills Oakhurst and Forest Cove. If you are purchasing new construction let help in the negotiations at no cost to you the buyer. I have negotiated 10-15% savings on new construction or if it is a foreclosure anywhere from 15-25% savings. My background in construction also allows me to see many construction issues before you place an offer saving time and money.